Sea Island offers new opportunities to experience the beauty of its landscape this summer. 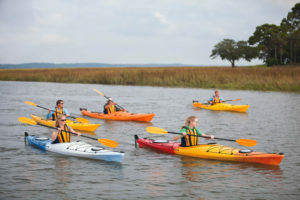 Through Saddle and Paddle, a group of adventure seekers and nature enthusiasts will take off from Rainbow Island; half will partake in a guided kayaking trip to the south tip of Sea Island while the other half will go horseback riding through the maritime forest and dunes. Riders and kayakers will switch from land to sea, or vice versa, for the return trip to Rainbow Island, offering a comprehensive observation of all the ecology the surroundings have to offer. 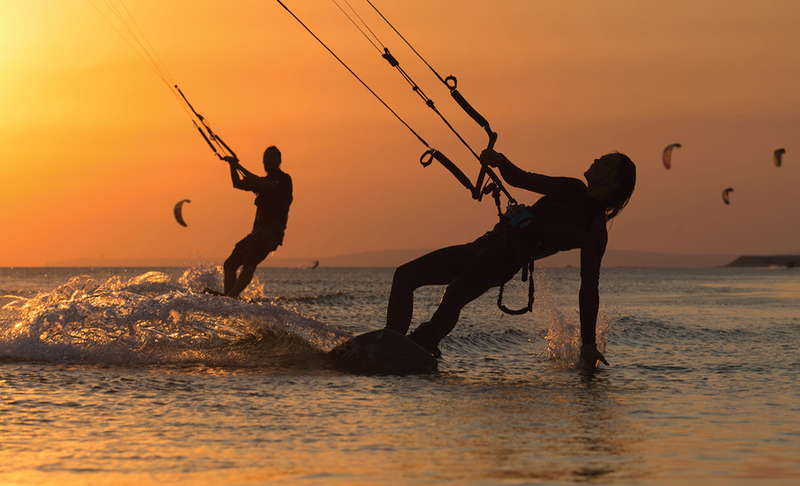 The truly adventurous at heart can participate in exhilarating kiteboarding classes, starting April 22. 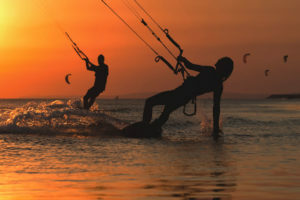 Using equipment similar to that of a wakeboard or surfboard with the addition of a tethered kite, participants will harness the wind’s energy to glide across the water. Beginners are welcome in the class, which covers all aspects of kiteboarding from safety and equipment instructions to tips on how to use the wind properly and improving board-riding skills. 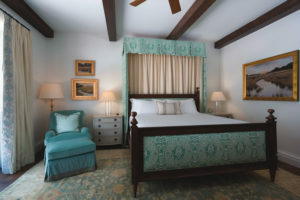 After a lightning strike and fire burned the main Lodge building at the Broadfield Sporting Club, Sea Island reimagined what was possible for the house. Almost two years later, the beautifully rebuilt space is welcoming hunting and fishing enthusiasts again with additional bedrooms, an enlarged great room and a sprawling wraparound porch. The Cloister recently unveiled its new garden wing with 63 newly added rooms. In addition to balconies that look out upon the gardens, the rooms boast a fresh color palette, oak hardwood flooring and beam ceilings. Added amenities include dressing vanities adjacent to the closets and an integrated sound system. In addition, the Mizner ballroom is now available to book for work-related endeavors or events. The new ballroom at The Cloister provides additional space for private conferences and receptions that can be personalized. The 5,000-square-foot ballroom can accommodate up to 300 guests, and there is also a 2,500-square-foot courtyard for outdoor space. 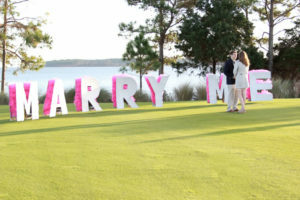 As Todd Dowling took a lesson from Mike Cook at the Sea Island Golf Performance Center, he was reminded how beautiful the lush waterfront driving range is—determining it to be the perfect spot to propose to his now fiancee, Rachel Tanner. While the moment might now be a memory, the location will continue to be a special place for the future bride and groom. 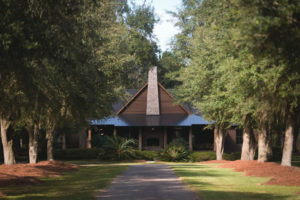 Dowling notes, “We are spending the first night of our honeymoon at The Lodge at Sea Island, which is right next to where the proposal happened. 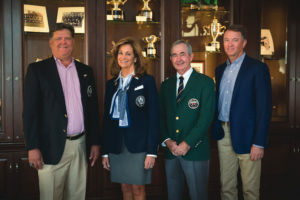 Sea Island’s Golf Club is celebrating the accomplishments of several residents and instructors from its grounds as they embark as captains, coaches, and leaders in the sport. Sea Island will be represented at the annual Palmer Cup by U.S. team coach Mike Cook, who has been a teaching instructor at Sea Island Golf Club since 1991. The team golf competition will take place June 24-26 at Formby Golf Club in England. Then at this year’s Ryder Cup, the biennial match play event between American and European golfers, Sea Island Golf Club member Davis Love III will serve as captain. The event will be held Sept. 30 to Oct. 2 at the Hazeltine National Golf Club in Chaska, Minn.
John “Spider” Miller will also captain the U.S. team during the 2017 Walker Cup to be held at the Los Angeles Country Club. The match between two teams, U.S. and Great Britain and Ireland, will be a return for Miller who also coached the team during the 2015 competition. St. Simons Island resident and active community member Diana M. Murphy begins her sixth year as a member of the USGA Executive Committee and first term as president in 2016. As the 64th president of the USGA, Murphy will be the second woman in the association’s 121-year history to be nominated president. Southern culture abounds at the annual Southern Grown festival where culinary treats and libations are paired with musical acts all in celebration of the South’s unique traditions. 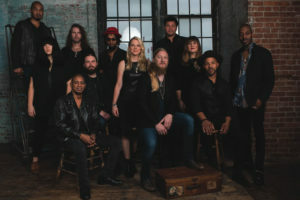 During the event, which takes place on Sea Island the weekend of June 9-12, top culinary and spirit personalities serve Southern-inspired dishes and drinks stretching from brunch to late-night snacks while instructional sessions on everything from gardening to beer brewing showcase the quintessential South. In the great unknown expanses of our deep blue sea, historical sites sit tucked away waiting for exploration. As one of the world’s foremost explorers, Dr. Robert Ballard has spent his career discovering the natural history phenomena and human history beneath the ocean’s surface. The explorer may be best known for his history-making discovery of the R.M.S. Titanic in 1985, but he has been exploring the ocean for 40 years with the help of advanced exploration technology, much of which he pioneered. Ballard’s successful quests include uncovering the German Battleship BISMARCK, the aircraft carrier USS Yorktown lost during the Battle of Midway, and President Kennedy’s PT-109. 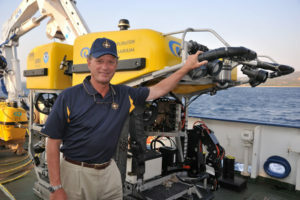 Join Ballard at Sea Island on May 27-28 for a special National Geographic Live event, “Exploring Unknown America: The 50 Percent of Our Country That Lies Beneath the Sea” in which he will discuss these historic discoveries as well as his current work to motivate and educate the next generation of explorers. Award-winning photographer Steve Winter has viewed the world through a camera lens, but on the other side of his equipment, dangers can abound. From struggling through quicksand in Myanmar’s largest tiger reserve to being charged by an 11-foot grizzly bear in Siberia, Winter points his lens in the direction of nature’s most magnificent scenes. 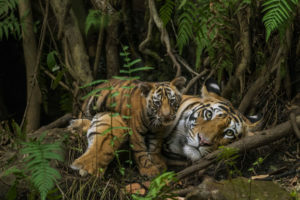 With a specialty in wildlife photography—big cats in particular—his work supports his desire to educate audiences on the issues most vital to saving big cats and their ecosystems.